What to do when a Native American tribe doesn’t want to do business with your private security firm? 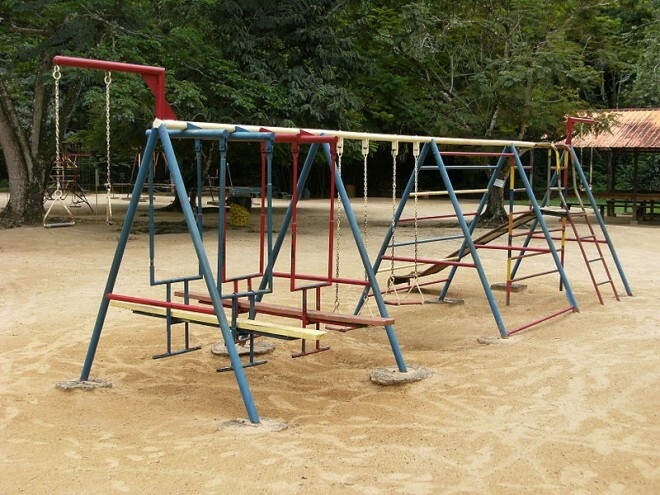 One company has an answer: Remind them you were generous enough to promise the tribe’s kiddies a new children’s playground, and buy them trips to Disneyland and free iPods. When Blackwater went looking for a place in San Diego County where it could train soldiers and law-enforcement officers in everything from sniper skills to combat-driving around 2006, it ran into a problem. Communities didn’t exactly want the controversial private security company, infamous for questionable killings of Iraqi civilians, anywhere near them. But one Native American tribe, the Los Coyotes Band of Cahuilla and Cupeno Indians, was willing to hear Blackwater out. The isolated tribe, located near Warner Springs in California, had been struggling to squeeze out cash from its inhospitable land, reports the San Diego City Beat. The reservation’s landscape was even reminiscent of the terrain of Afghanistan. And so it was a gold mine for private military contractors that needed training grounds. In 2008, Brian Bonfiglio, then a Blackwater executive, started talking to the tribe, according to court documents shared with Danger Room by the Beat. After he left Blackwater in 2009, he went on to sign a deal a year later with the tribal chairwoman, Francine Kupsch. Eagle Rock Training Center, the private military training facility Bonfiglio founded, was built on the reservation — with the tribe promised a cut of profits. In late 2010, the lease was extended until 2035. Then Kupsch was replaced as the tribal chairperson. And the Interior Department said it would consider allowing Indian tribes to build casinos far from their reservations. The Los Coyotes tribe renewed its old calls for a casino. Now, they want the mercs out: In June, the tribe sent the company a 30-day notice to get off its land. Yes, that’s right. 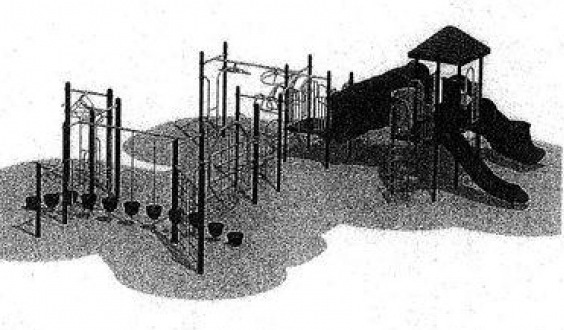 A children’s playground — just check out the sweet blueprints (or this sample, above). To get its lease extended till 2035, Eagle Rock promised a 1,250-square-foot tribal office, too. Tribal members who owned part of the land that would be turned into an asphalt driving track would get $500 in monthly rent. The agreement also included a waiver of the tribe’s right to sovereign immunity from the U.S. court system. How valid the deal that the previous tribal chairman entered into is now an issue of contention. Lease agreements with Eagle Rock are void because they hadn’t been approved by the Bureau of Indian Affairs, the tribe now argues. Eagle Rock insists that the agreement — notably missing the tribe’s official stamp of approval — is valid. After a tribal member and former Eagle Rock employee allegedly stole the facility’s surveillance cameras and set a guard shack on fire, Eagle Rock’s been putting more heat on the tribe.